Amazon removed the Chromecast, Nexus Player, and Apple TV from its online store in 2015. Amazon said the products' lack of Prime Video support (which Amazon itself is responsible for adding) could confuse buyers, but most saw it as a thinly-veiled attempt to boost sales of its own Fire TV lineup. Since then, Google and Amazon's feud has only escalated. The recent drama around the Echo Show (where Amazon implemented its own YouTube player without Google's approval) and Amazon's removal of some Nest products seemed to be the final straw. Google announced earlier this month it would block YouTube from the Echo Show (for the second time) and Fire TV devices. Now it appears Amazon has reversed its ban on selling the Chromecast and Apple TV. Amazon told CNET in a statement, "I can confirm that we are assorting Apple TV and Chromecast," and some product listings are already live. We have also independently received confirmation from Amazon. The reason for this move is not exactly clear. Prime Video recently arrived on the Apple TV, so that would fulfill Amazon's requirement of Prime Video support. However, the Chromecast still doesn't support the service. 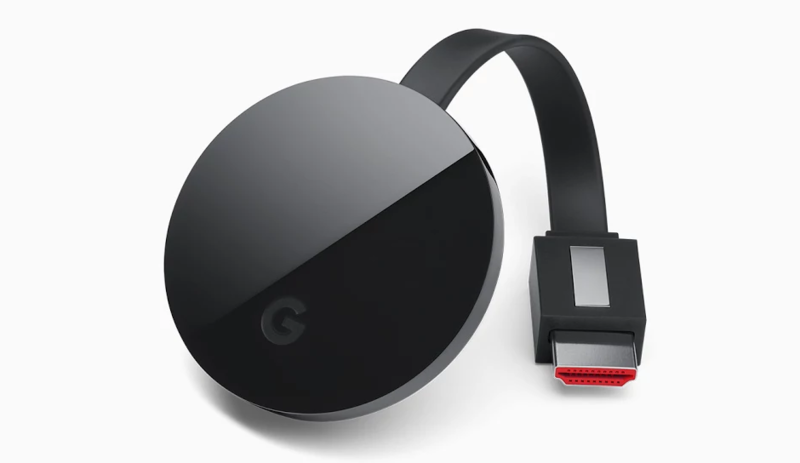 Either Amazon has agreed to sell the Chromecast regardless (perhaps as part of a deal to restore YouTube access), or Prime Video support will arrive soon for the Chromecast. I'll admit, the latter theory seems unlikely, but the recent addition of Chromecast support to the Amazon Music app lends some credibility towards the idea.